There are many reasons you should support local businesses. Primarily, when owners of local shops purchase stock for their stores, they are considering the desires and needs of their local constituents. For clothing and home décor stores, they understand the local fashions and trends in these markets. When buyers for big box stores purchase stock, they are considering national trends and buy accordingly. Often in local shops, the buyer is purchasing an item or style with a particular person, not a regional trend, in mind. This creates a special opportunity for the shopper to find more unique, and sometimes, locally produced items. In the big box stores, shoppers are faced with an array of more generic, mass-produced items. For instance, local stores can purchase more types of items in smaller quantities while chain stores stock with larger quantities of fewer styles. In local restaurants, consumers are privy to more specialized experiences, as well. Restaurant owners and their staff take the time to get to know their customers and offer dishes that reflect local flavors in a relaxed environment. It is not uncommon for staff to greet frequent guests by name and tailor their dining experience based on their personal tastes. Chain restaurants must focus on the tastes and preferences of much larger audiences. Usually, this results in ‘cookie cutter’ food that tastes the same in Des Moines as it does in Willow Park. Local business owners actively work to provide the highest level of service to every guest that visits their shop or restaurant. When customers return often, they do so with the assurance that the dollars they spend are reinvested in the community where they live. So, instead of spending time driving to the city, do your shopping locally. It’s a benefit for both you and the local owner. 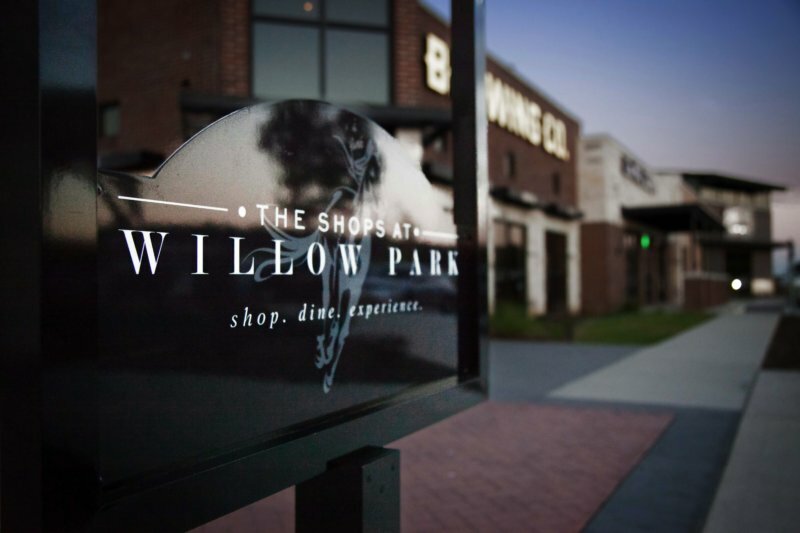 Visit The Shops at Willow Park to support the local community.